These times may vary as they are dependent on the weather and the gallery has artist studios therefore the gallery may be open when the studios are being used. Please ring 07946874416 or ring the bell otherwise. The gallery opened on Saturday 20th August 2016. 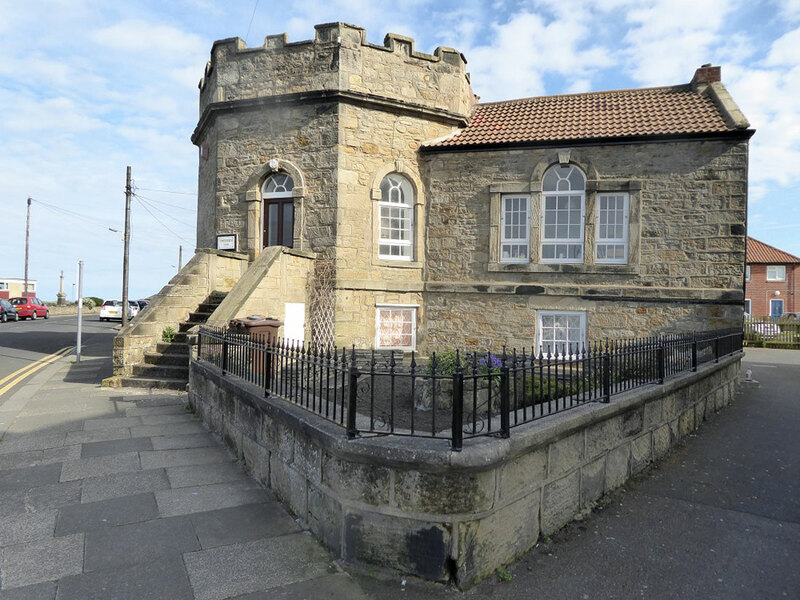 We hope that it will attract visitors to the region and add to the other attractions of Seaton Sluice, which include peaceful country walks, wonderful beaches, a wide range of gastro pubs and cafes, a hotel next door to the gallery and nearby Delaval Hall. The tower part of the house was built sometime between 1720 (suggested by the plaque next to the front door) and 1750. The rectangular add-on was constructed 10 – 30 years later. The design has been attributed to Sir John Vanbrugh who built Delaval Hall about a mile away. The house lends itself to being on show as it is such an unusual building. The octagonal rooms make wonderful spaces for displaying art. We want the gallery to be an interesting experience for visitors with an eclectic mix of art. The art will veer towards reflecting environmental aspects, nature and history of the region.